One typically Russian characteristic is the tendency to favour heavy projectiles at the expense of muzzle velocity. The 23 x 115 round fires a 170g or 200g projectile, in comparison with the 102g of the 20 x 102 M61 and the 180g of the much bigger NATO 25 X137. Similarly, the 390g 30X165 projectile compares with around 270g for the 30 x 113B (Aden) and 30 x 150B (GIAT). 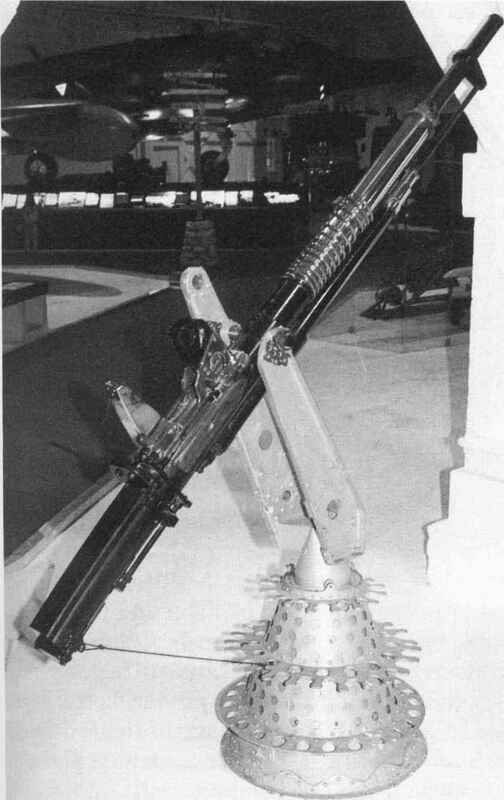 If the Russian cartridge were loaded with 270g projectiles, muzzle velocity in the GSh-301 could be expected to increase, for the same muzzle energy, from 860 m/s to around 1,030 m/s. This preference is surprising, as muzzle velocity is generally considered to be of paramount importance in air fighting because it minimises the time of flight and therefore reduces the problems of deflection shooting. The Russians are apparently content to accept a lower velocity in return for greater destructive effect. The effective range of modern aircraft guns is aided by sophisticated sighting and fire control systems. The 20mm M61A1, for example, has a normal air-fighting range of about 500m but in favourable circumstances (a fast closing speed), or for ground attack, this can be more than doubled. enough for just five or six seconds* firing. The MiG-29 carries only 100 rounds. Even the apparently generous 570 rounds in the F/A-18 lasts for only six seconds, while the GSh-6-23 installation in the MiG-31 reportedly can hold only 260 rounds, which would be expended in less than two seconds. On the other hand, some modern fire control systems can prevent a gun from firing until a hit is certain, so wasted ammunition is far less of a problem than in the past. In the specialised field of ground attack, the GAU-8/A of the American A-10 'tankbuster' has a clear lead in hitting power over the GSh-6-30 used in the MiG-27, even if its rate of fire is lower. The A-10 also has a huge advantage in combat persistence. Its massive ammunition capacity lasts for about twenty seconds' firing; the MiGs 265 rounds for less than three seconds and the slower-firing GSh-30 in the Su 25 just five seconds.